Fourteen citizenships handed over to the administration urging it to scrap it. 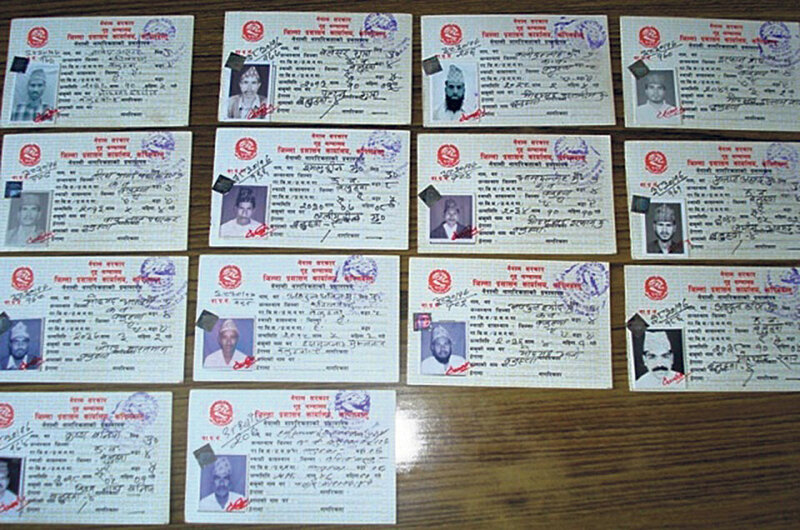 KAPILBASTU, Oct 12: Mithai Lal Chauhan, a local of Bijaynagar Rural Municipality-6 had complained to the local administration in 2012 that three non-Nepalis were provided with the citizenship certificates during citizenship distribution in 2007. He filed complaints urging the administration to investigate and take action against the guilty. The three he had complained of were Indian citizens. Chauhan had briefed the administration and provided evidence to back his claims. After he figured out that no action was taken against them, he went to the administration again and again, he said. “But I am not sure that they have done anything about it even till date. Those people have been carrying out all kinds of activities here freely as they have citizenship,” he stated. According to Chauhan, there are many locals like him who keep notice of such wrong things happening around. Just like him, they also go and complain to the concerned office. However, no action is taken ‘even though the issue is so serious’. “We find it very hard to accept that new people coming from another country get Nepali citizenship in a day while there are many genuine people here who are still deprived of citizenship,” Chauhan said. “A sensitive matter like citizenship cannot be taken so carelessly. So, we keep complaining, but we have little hope that the administration will do anything about it,” he added. After the Madesh movement, the government had massively distributed citizenship in 2063 (2007) in Madhes and other parts of the country. During the period, lots of Indians were believed to have received Nepali citizenship. According to Chauhan, the locals could easily figure out who were the local residents and who were not. However, at that time, many unauthorized people got it. “Even after that, non-Nepalis have been getting citizenship,” he said. “As a good citizen, I tried to bring the matter to light as our nationality was under attack right before our eyes,” he fumed. 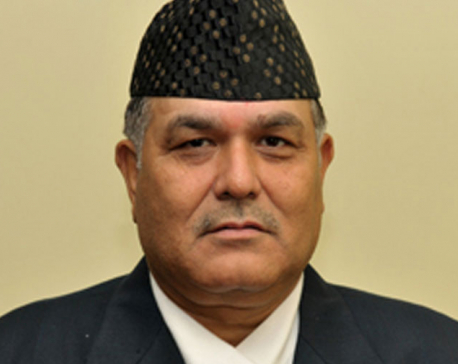 Chauhan stated that the administration does not provide citizenship to Nepalis easily even if it is clear that he or she is a Nepali. The office asks for very strong verification based on public enquiry. “When it comes to Indians, they simply provide it for kickbacks,” he said. “If a poor Nepali goes there for citizenship, they ask for survey, report and dozens of other papers,” he added. According to Chauhan, it is an open secret that non-Nepalis are getting citizenship without any hassles while Nepalis are not getting it easily. And that is a matter of great concern for all the people along the border, he said. “This matter is very critical. But nobody is taking it that way. Now, the magnitude of the problem has become bigger and even the administration is finding it challenging to solve it,” he stated. Last fiscal year, complaints were filed at the district administration office for the scrapping of citizenships of 12 people. Stating that those 12 had received citizenship illegally, locals had filed complaints with due proofs. There have been dozens of oral complaints as well. Following this, several departments and ministries have also urged the administration for action over the issue. The Commission for the Investigation of Abuse of Authority (CIAA) and the Ministry of Home Affairs have directed for investigation. According to Rameshwar Aryal, assistant CDO of the district, though investigation over such cases is underway, it cannot however scrap the citizenship. “We can only investigate, we cannot scrap it,” he said. Meanwhile, locals say that the government officials work in collusion with the illegal migrants for bribe and no one really wants to take any action. Even though the CIAA and the home ministry have shown concerns, it is just an eyewash. “Or else, if they really wanted, why would they take so long to investigate over those citizenships? It’s only an eyewash even if they issue order for investigation. Who is going to monitor things?” asks Chauhan. “Let alone 2063, thousands of Indians have received citizenships even to this day. But the government is simply not serious about it,” he alleged. Officials at the administration turn defensive about it. They say that the process of providing or scrapping citizenship, both are not easy. A small fault might take toll over their career. “So, even if complaints for scrapping of citizenship are received, little is done about it. Providing citizenship is equally a sensitive issue and might take your job,” an official at the district administration office said, requesting anonymity. Sources claim that 5,000 non-Nepalis had received Nepali citizenship in 2063 BS in the district alone.